Badge and Crests can be made of materials such as leather, metal, textile, plastic, leather, felt. They refer to ranks and status. Badge and Crests have been used since ancient times. Even if these two words refer to different use areas, they are mostly similar to each other. They differ by civilization and ranks. Along with the ancient times, we come across them as a rank and status symbol in Rome, Vikings, medieval Europe, Britain and many different civilizations. Many sports clubs and companies’ logo was created by getting inspiration from the old badge and crest forms. Rosettes are given to users with success in digital platforms. We come across it in some computer networks too. In this drawing of us, we designed often-used basic badge shapes. 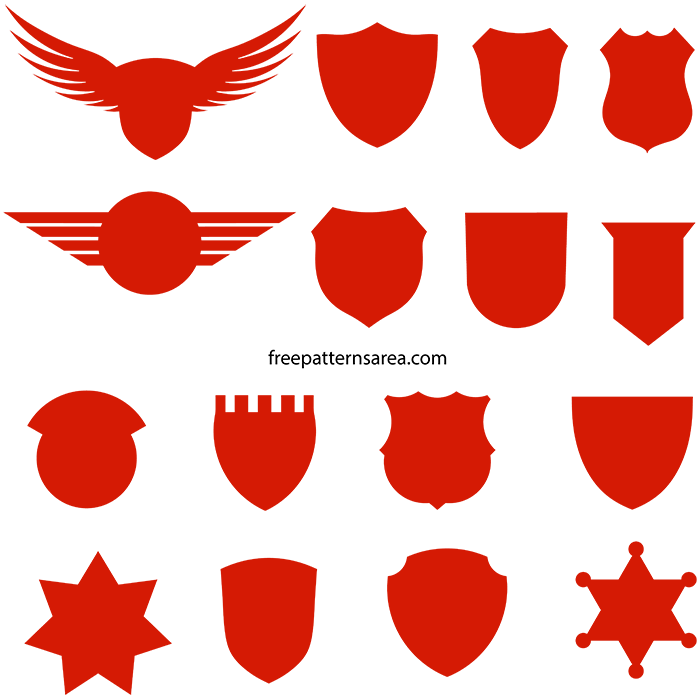 In this collection, you can find different badge and crests images according to your pleasure and use them in many projects of you. If an example is necessary, it can be a template for a logo design. Those who do graphics vector designs can use these templates freely, however, most of the other designs of us are for individual usages. For the other designs of us, you can have a look at the License Agreement page. These templates can be an inspiration additionally for a good craft idea. 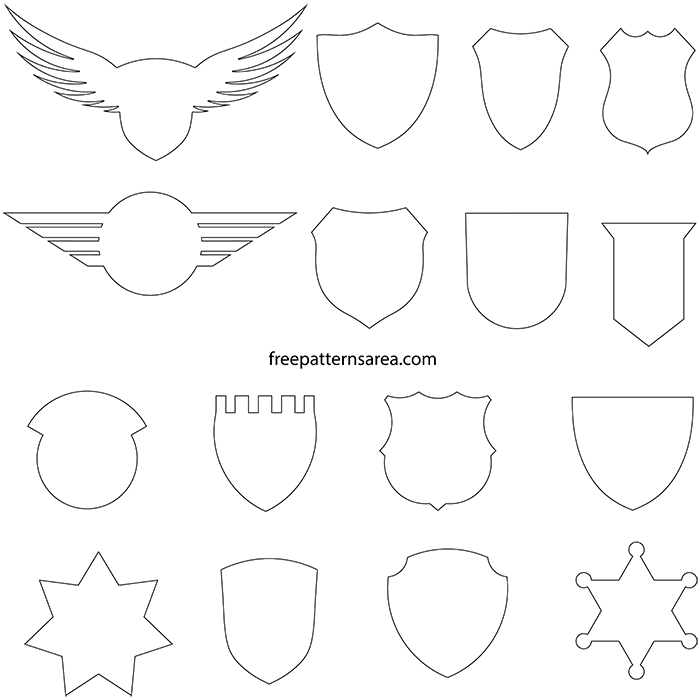 Badge and Crests pdf template file consist of blank outline drawings. You can print this file and different thoughts for making templates full are up to your decisions, of course. 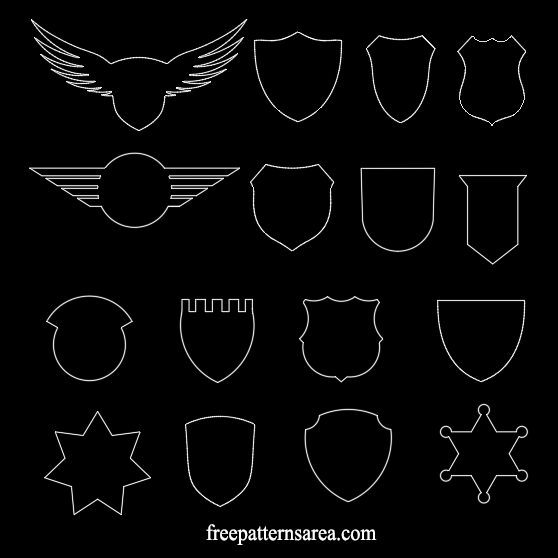 Download free badge & crest vector files. Right click and save to free download • eps, • dxf, • svg, • pdf, • png, • dwg, • stl files.